Landing in China can often feel like being in another world. From Beijing to Shanghai, historic temples of the past are surrounded by futuristic buildings. Tantalizing smells drift out of hole-in-the-wall spots in ancient alleyways. You’ll see families and friends piled together on a scooter zipping through traffic and ladies dancing in parks every evening. It’s an amazing and quirky destination to be in that will leave you with a truly unique travel experience. Welcome to China! You can easily spend a month here and barely scratch the surface. I moved to Beijing with the intention of staying for a year and ended up living there for three because I kept wanting to explore more! Since we all can’t spend three years traveling China, I’ve put together a 10-day China itinerary exploring the east side of the country from Beijing to Shanghai and some charming cities in between. China has a great transportation network so it’s very easy to go from Beijing to Shanghai with other city stops in-between. The best way I recommend is by taking the bullet train. A high-speed train from Beijing to Shangai will take as little as 4.5 hours. There’s more leg room on the train compared to a plane and you even have a train stewardess pushing a cart of drinks and snacks in case you get hungry. The high-speed trains are classified as ‘g category’, where the trains travel up to 300 km an hour. There are second, first, and business class seat options but there’s little difference between first and second class except for the price. Go with the cheaper ticket and pay ~$85 (USD) for second class rather than $143 for first class. The easiest way to purchase tickets is through a ticketing agency like 12goAsia.com. Just beware that the trains will be extremely busy during any national holiday (particularly Golden week in October, and Spring Festival in January or February) and likely to sell out well in advance. For more info on traveling in China by train from Beijing to Shanghai, visit Seat 61. With a history that spans three millennia, this ancient city has a lot to offer. 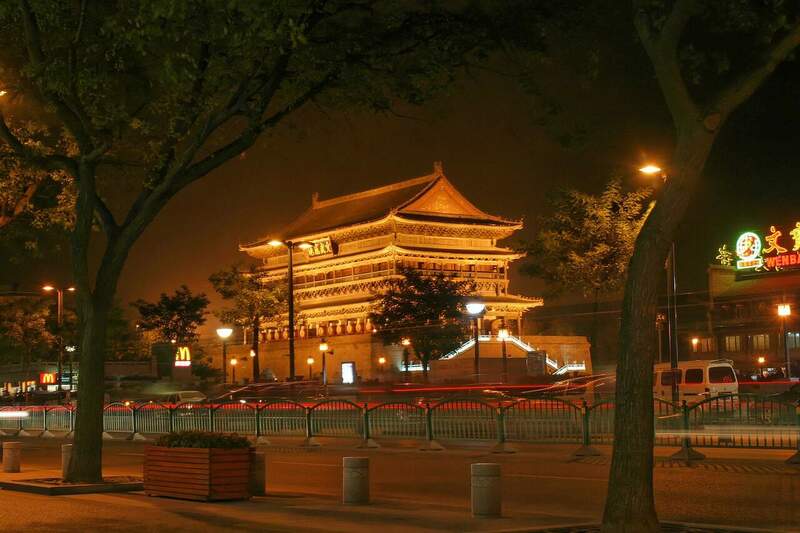 Beijing was the home to China’s ruling elite, with the world’s largest palace complex located in the heart of the city. 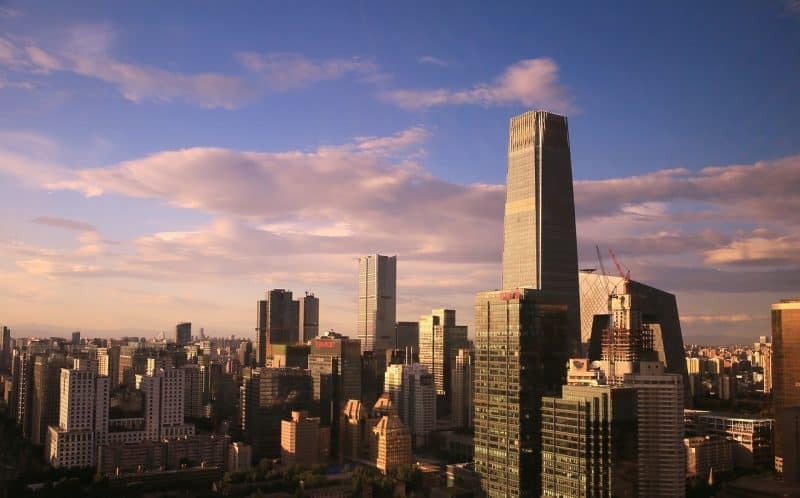 Even with all the history, Beijing is not stuck in the past and is also the home to some amazing modern architectural wonders and innovative art areas like the Birds Nest and Water Cube for the Olympics, the CCTV tower, National Center for Performing Arts, and the 798 Art District. It’s a city that is the perfect mix of old world and new, and a must-see stop during any trip to China. The home to 24 Chinese Emperors, this ancient palace is only one of three left standing in China. The Forbidden City is also one of the world’s largest palace complexes with 9,999 rooms. If you’ve ever visited the Vatican, it’s twice the size of that! The Forbidden City has a long history which began with construction during the Ming Dynasty in 1406 and ended with the expulsion of the last emperor in 1924. You could easily spend the entire day exploring so make sure you give yourself plenty of time to take it all in. While you are there, pay attention to the lion stone statues. The one with a ball underneath its paw is male and the female will be playing with a cub. When you’re done visiting the Forbidden City, check out Tian’anmen Square (the world’s largest public square) which is within walking distance and also deserves a visit. The easiest way to get to the Forbidden City is by subway. Get off Line 1 at Tiananmen East Station or Line 2 at Qianmen Station. A palace that is surrounded by a lake, gardens, and beautiful foothills, it’s no wonder past Emperors and their families would choose to escape here during the summer. 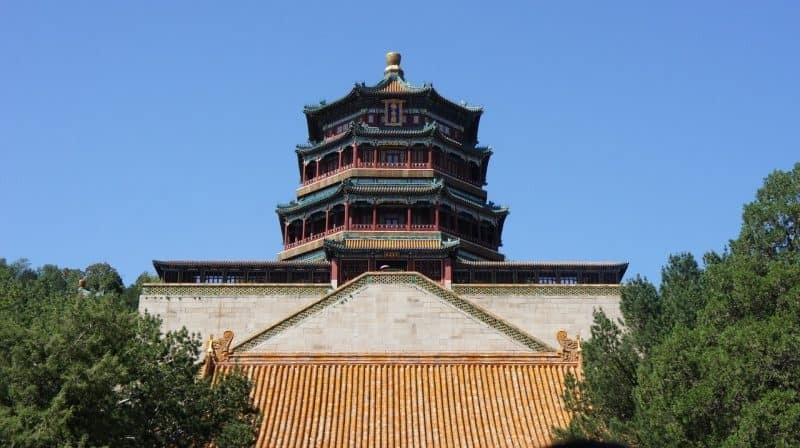 Although located in the Haidian District (north-west Beijing) this World Heritage Site can’t be missed. There are over 3,000 man-made structures with beautiful, intricately painted designs. 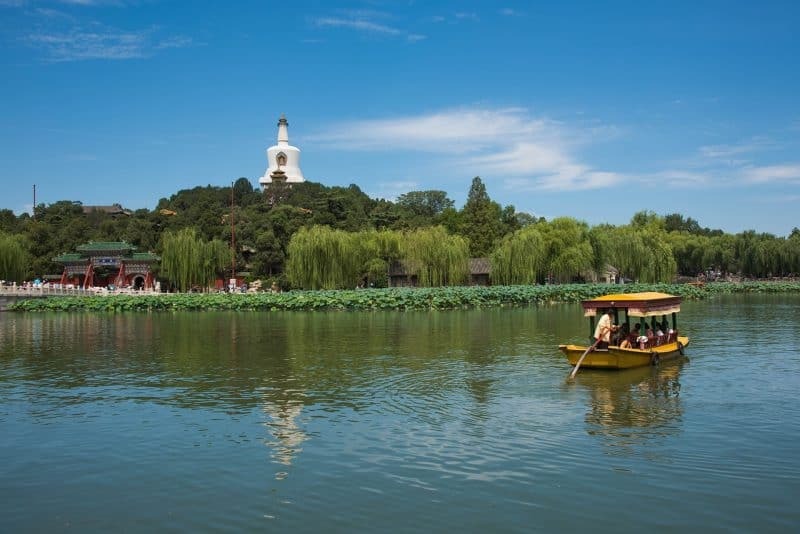 Also, don’t miss out on a boat ride around Kunming Lake. The easiest ways to get there are by taxi or subway to Beigonmen station. Plan for at least a half day here to explore. Even better, pack for a picnic! There are many different sections of the great wall. Some parts are restored, like Mutianyu and Badaling which are easy to walk but can get very crowded. Other parts are unrestored and if you don’t mind a bit of a challenging walk, this is the best way to see the wall. You can escape the hoards of tourists and find your own private spot on the wall. Camping on some parts of the wall is also an option for the outdoor lovers. You should plan a full day to hike the wall as getting there can take 1-2 hours. The easiest way to see the wall is through a tour company but it’s definitely possible to do it yourself. Here’s a Great Wall itinerary with tips on how to avoid the crowds and how to do it yourself. 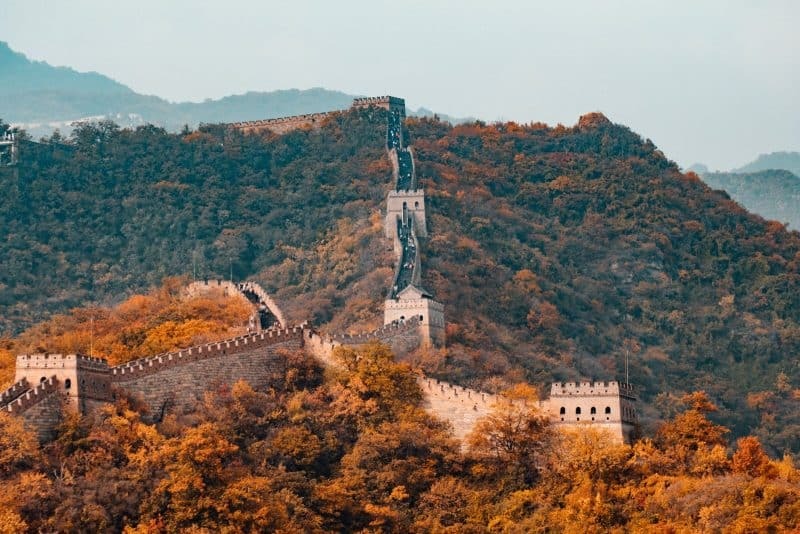 The downside to doing it yourself is it can take more time and planning and if you only have 10 days in China, you may want to give that responsibility to someone else so you can enjoy more! The Great Wall of China is one of the 7 Wonders of the World. If you want to do it through a tour, they offer a number of options from day hikes to restored and unrestored sections, overnight camping, and even trekking 1-4 days on the wall and spending the night with locals. If you are up for exploring the streets of Beijing the best area to visit is in the hutongs and around Hou Hai Lake. The hutongs around Hou Hai are the most ancient in the city. They contain a mix of homes, shops, and some of the tastiest spots to eat. Some noteworthy streets to check out are Beilouguxiang and Nanluoguxiang. Hou Hai is great to visit any time of year with a nice walkway around the lake. For a fun day out on Hou Hai, pick up some snacks and drinks and get on a paddleboat. There are restaurants surrounding the lake but these are a geared towards tourists which can leave you with an expensive bill and a mediocre meal. If you are looking for tasty food in Beijing, visit the inner hutongs. For some delicious, unique, flavored dumplings try Mr. Shi’s Dumplings. If you want to try Yunnan cuisine (southern-China cuisine), visit Dali Courtyard. They offer 5-12 course menus and serve in a beautiful open-air courtyard (great for a romantic date). If you crave cold craft beer and some American food try Great Leep Brewing which is always full of expats and locals. On the way from Beijing to Shanghai is the ancient town of Hangzhou. This is the city that was once described by Marco Polo as the finest and most luxurious city in the world. 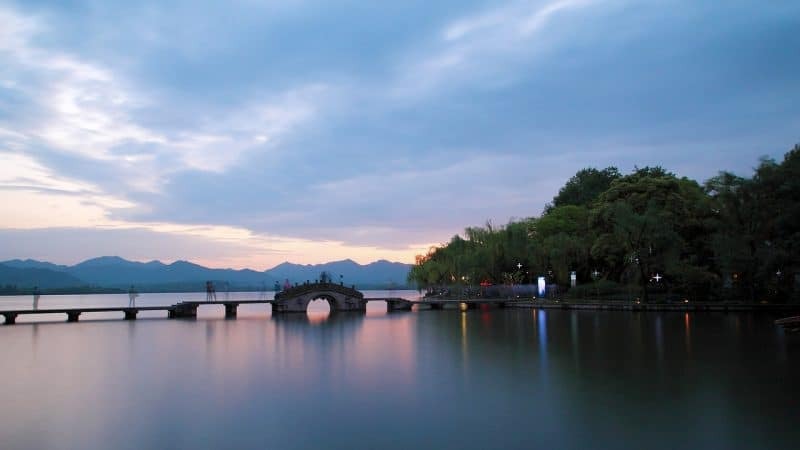 Hangzhou is one of seven ancient capitals with a famous lake known for its beauty. Bullet trains are available from Beijing to Hangzhou and will take between 5-7 hours. A renowned landmark, this lake is engulfed in natural beauty with summer lotuses growing in the water, swaying willow trees, green hills, and stunning sunsets. You can find over 60 cultural relics here and catch locals enjoying the area with portable karaoke machines, Chinese dancing, or an intense game of cards. An impressive fountain music show runs for 15 minutes several times a day at Lakeside Third Park Dock. You can easily spend half a day here. Explore the lake walking, bicycling or taking a leisurely boat ride. Foodies and shopping enthusiasts alike will enjoy a walk down Hefeng Street. Hangzhou is famous for their silk and you can find it in many shops on this street. There’s also plenty of other shops selling tea and unique souvenirs. Try the street food like chuanr (meat roasted on sticks), sticky rice, noodle dishes, dumplings, or sesame cakes. If you are more adventurous there are unusual items like fried scorpion or snake wine. A unique and historical site where you will find hundreds of Buddhist cave carvings dating back from the 10th to the 14th centuries. Also, there’s the famous Lingyin temple which has been destroyed and rebuilt over 16 times. Plan to do a lot of walking here and spend at least half a day. An iconic dish of Hangzhou, its known in Chinese as ‘Dong Po Ro’ which is braised pork belly. The pork is cut into 2-inch squares and comes in traditional clay pots. This is one of my favorite dishes and a must try during you’re 10 days in China. Another great stop from Beijing to Shanghai is the ‘Venice of the Orient’, Suzhou. Suzhou is just 1.5 hours away from Hangzhou or 20 minutes from Shanghai. Known for its canals and classical gardens, you can catch all the highlights of this ancient waterside city in a day trip. This isn’t a regular garden. It’s one of the four most famous gardens in all of China and a World Cultural Heritage site. Built in 1509 during the Ming Dynasty, the garden is full of winding paths, ponds, old trees, bridges, and different varieties of flowers. Spend a few hours here enjoying the garden. A historical site with 2,500 years of history. You’ll find temples, cultural relics, tombs of ancient kings and even ‘the leaning tower of China’. 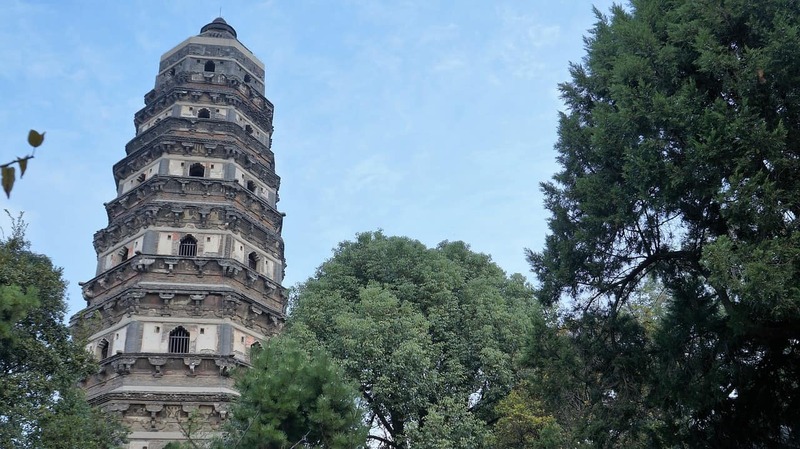 The Pagoda is a seven-story octagonal tower which started tilting over 400 years ago. Great view of Tiger Hill—It’s a must see when you travel from Beijing to Shanghai! Built in 852 AD, this ancient canal street is perfect for a lingering stroll. Along the canal, you’ll find many shops selling handicrafts and plenty of snack stalls. Traditional whitewashed houses line the street and red lanterns light the bridges at night creating a beautiful backdrop and excellent spot for Instagram-worthy shots. A local specialty in Suzhou is the squirrel-shaped Mandarin fish. The fish is cut in a cross-hatch pattern, deep-fried and topped with a sweet a sour sauce. Some may find it to look a bit strange (or like a squirrel), but it tastes amazing! This city has come a long way from a mere fishing village. 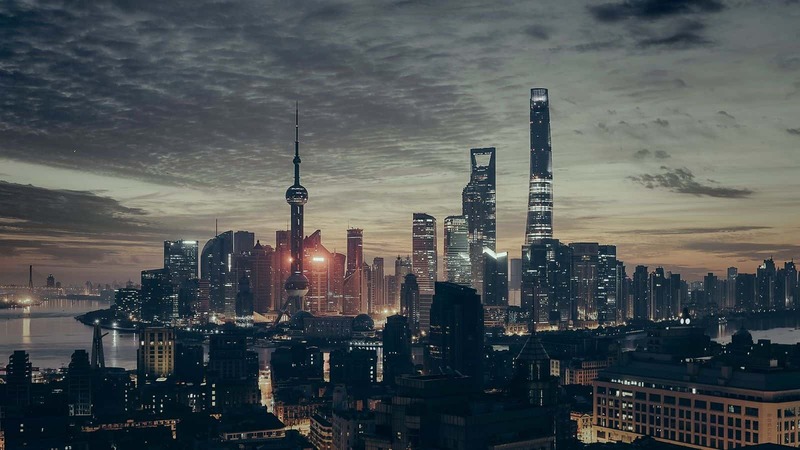 Today, Shanghai has blossomed into a global metropolis filled with high rises, neon lights, and things to do at all hours, day and night. It’s the Chinese version of New York and the perfect blend of East and West. This makes visiting here a lot easier compared to other cities in China since English is spoken in many restaurants and shops. If you are a foodie lover, art aficionado, shopaholic, or architecture enthusiast, you’ll love Shanghai. Get your bearings for the city by starting out with a free walking tour. A guide will walk you through Shanghai’s history on a 3-hour tour with plenty of gardens, temples, and art deco architecture. Tours are free but it’s nice to tip your guide what you think the tour is worth. Tours run daily at 10 am at People’s Square Metro station (Exit 3). Take a walk on Shanghai’s waterfront boardwalk at The Bund. In the early morning, you can catch locals doing their daily exercises. During the day, take a stroll and admire the art-deco and neoclassical buildings. Or, in the evening, hop on a boat to see it all illuminated. The river cruises are a popular tourist attraction and can get busy so take the ferry instead. It only costs 2rmb and takes a couple of minutes for a scenic short ride. For a fun, quirky day of perusing, head to M50 for Shanghai’s contemporary art scene. Chronus Art Space – non-profit gallery focusing on new media art. shanghART H-Space Gallery – houses some of the oldest contemporary art by some of China’s best artists. island6 – if LED is your thing, don’t miss out on the interactive works here. A unique area of Shanghai known for its tree-lined avenues, Tudor houses, preserved mansions, European style cafes and one of a kind shops. For a self-guided walk, check out TimeOut Shanghai’s post on the Hidden French Concession. 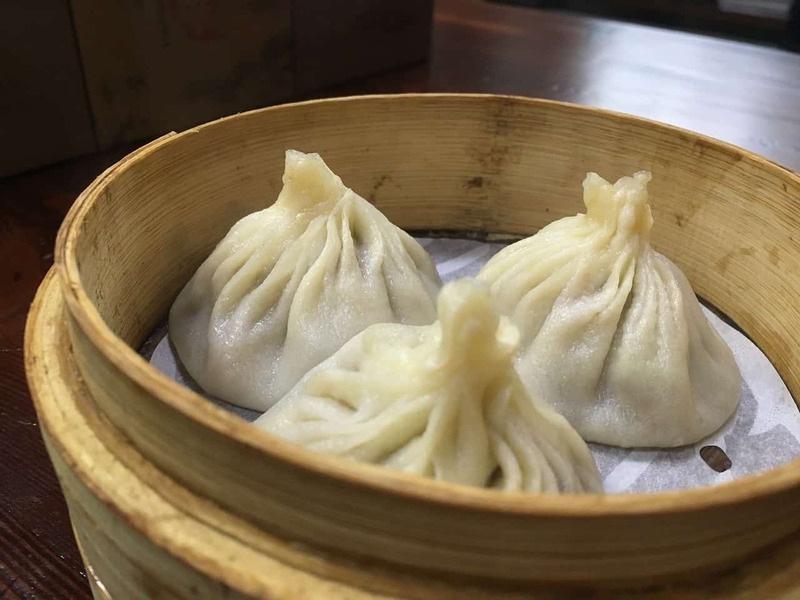 You can’t spend 10 days in China and not try Shanghai’s beloved soup dumplings. Known in Chinese as xiao long bao, you’ll find these dumplings in steaming bamboo baskets. Every dumpling contains a small meatball and soup. To eat, just bite off the top, sip the soup out, and then eat the dumpling. You’ll find these sold at any hole-in-wall spots on the streets. The more locals inside, the better the soup dumpling. If you aren’t up for searching for your own hidden gem spots, check out Culture Trip’s 10 best places. And there you have it, you made it through 10 days in China! Hopefully, you found this Beijing to Shanghai itinerary useful for your visit. By the end of this trip, your camera will be packed with gorgeous pictures and you’ll have great travel stories about China to share with your friends. How will you spend your 10 days in China? What are you most excited to see from Beijing to Shanghai? 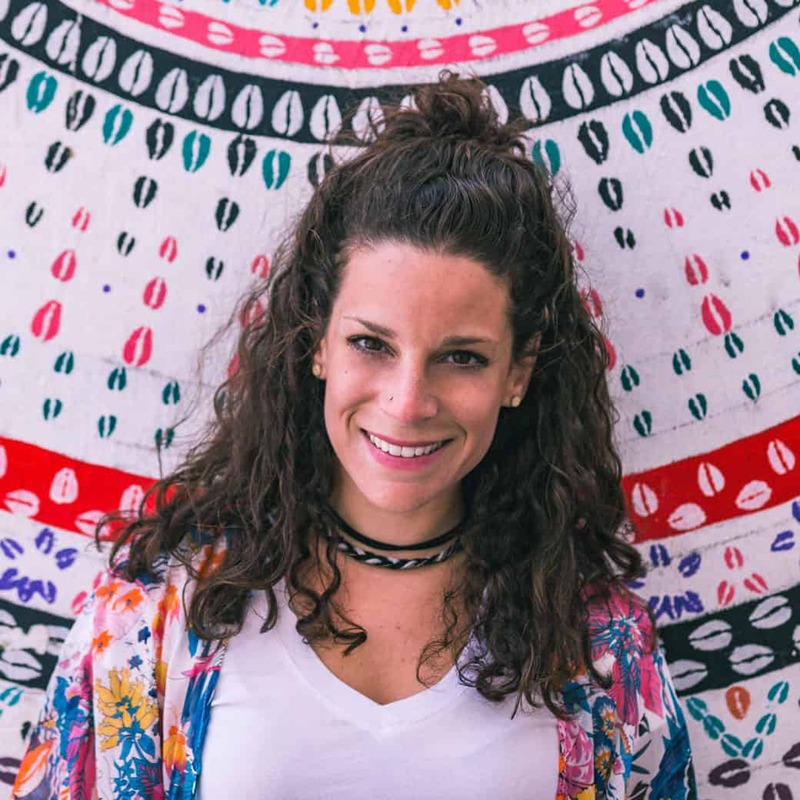 Jenn is a Canadian travel blogger who loves going on adventures that are a little off the beaten path. Her digital stories feature unique experiences in travel and food around the globe like housesitting in Kenya and wild camping in Scotland. Stay in the loop with her explorations on A Map, Fork & Cork! For live updates check out Twitter & Instagram. The first photo you took the Shanghai Ferry looks really impressed. I always wanna visit the Great Wall when the Autumn comes. Thanks so much for the awesome post! Thank you for this guide, we briefly went to china 14 months ago to Guangzhou for 3 days. What is the best area for culture? All over China 🙂 Shanghai is my personal fav. We will be doing the reverse, starting in Shanghai and ending up in Beijing. If you had 7 days, versus 10, would you divide time evenly between two cities or more for one over the other? Thank you for this guide! I’ve always wanted to explore China but I have no idea where to start, it’s so big and there’s so much to see! Definitely keeping this guide in my virtual back pocket!